Door brings everything together for the hangar. A tip from J.T. 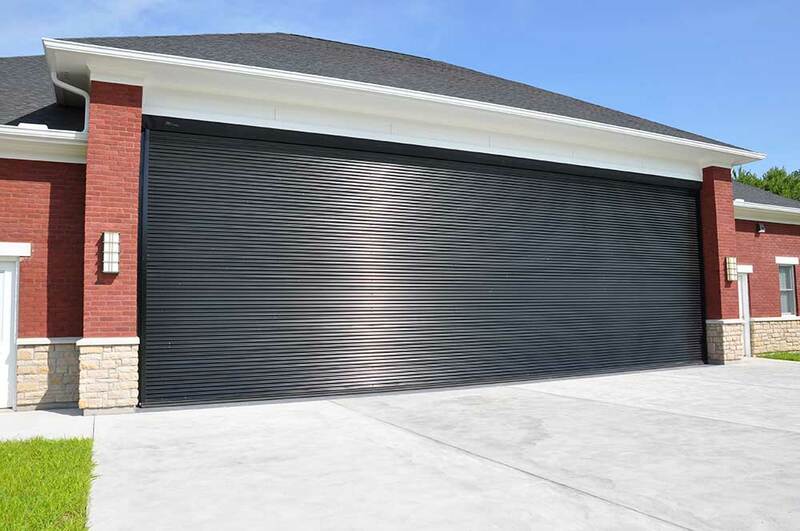 Strange’s neighbor led to Schweiss Doors for a customized bifold door for the hangar adjacent to his home at O’Bannon Creek Aerodrome Airpark in Goshen, Ohio. J.T. Strange wanted his hangar to go beyond the typical look of a hangar door. He accomplished this by mounting the sheeting horizontally and by having the corrugated panel of the bifold door overlap in the middle. The door is also two feet inset. Strange’s hangar required a 45-foot by 15-foot, 11-inch door to house his Cessna 182T, which he uses for business and pleasure. Bob Beckman of R.D. 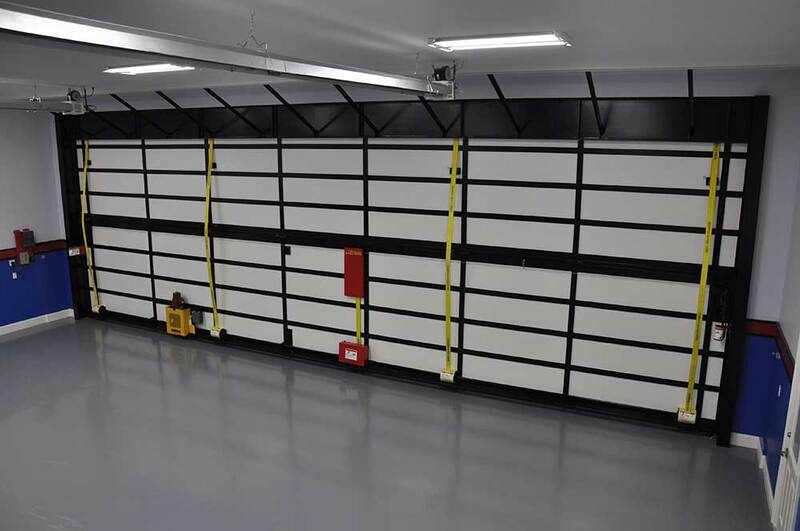 Beck Services of Harrison, Ohio, a Schweiss Doors installer since 1999, completed the installation. Strange wanted a Schweiss bifold liftstrap/autolatch remote opening door, with black horizontal corrugated sheeting on the face of the door. J.T. Strange of Goshen, Ohio, is in the process of building a new home at the Obannon Creek Aerodrome Airpark. 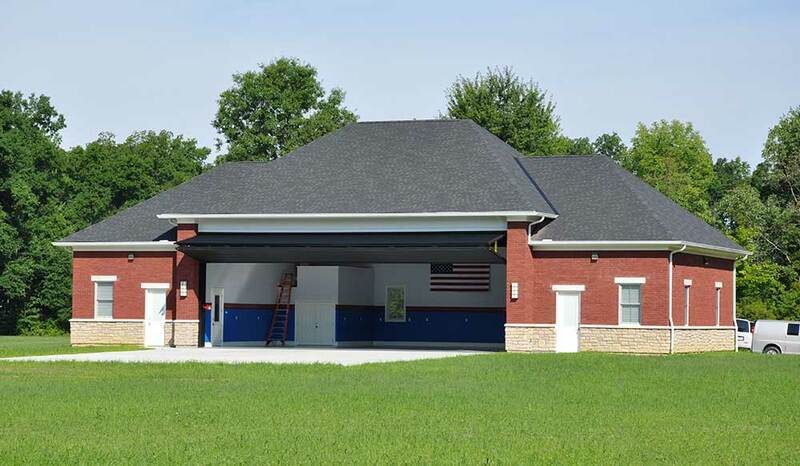 His hangar, which will hold his Cessna 182T business and pleasure aircraft, is fitted with a Schweiss 45-foot by 15-foot, 11-inch bifold liftstrap door. Strange’s research and engineering background led him to select a bifold door because there is less surface area for windy conditions and when there is heavy snow. Strange insisted on installing the door inset about two feet, instead of on the face of the building. Four liftstraps easily lift the 45-foot bifold door. Interior sheeting gives the door a nice clean look. I have had a Schweiss bifold on my hangar for 17 years and it works as good today as it did the first day it was installed. My neighbors have several varieties of doors. Some are more expensive and some are less expensive, but my Schweiss has made them all envious. The new trend appears to be one piece doors, but my bifold seals tighter against the floor, and that means my hangar stays cleaner than anyone else’s. Every day, I see my neighbors sweeping the dirt out that has blown underneath their doors. Some of the other doors had really good door seals at first, but they quickly wore out rubbing against the ground during opening and closing. My Schweiss door seal is just barely scuffed after all these years. I have to take my hat off to you guys. You have designed a really nice door. I’m not too familiar with the Schweiss products, but a number of my neighbors have Wilson bi-fold doors. When it came time for me to purchase in 2013, I chose the Wilson 42′ all aluminum bi-fold with auto-latch and remote control. To this date in early 2018, it works great and the company is very customer friendly. Morton Buildings helped install the door as they seem to have plenty of experience with Wilson. Up here in Michigan, I also chose the optional double seal insulation package as I heat my hangar 24/7. It was well worth the extra expense.